When I first read about this book online I was dying to read it. After a long wait, it finally arrived at the library. I wasn’t quite prepared for it, though, and as I started to read it I felt so many emotions that I couldn’t deal with. But I kept reading, and I’m glad. 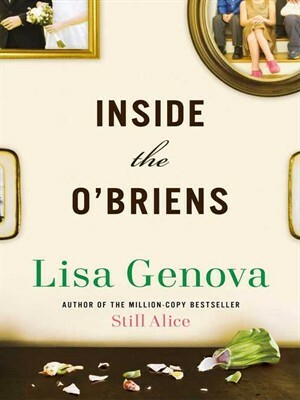 The book is about an Irish Catholic family living in Boston. Joe is the patriarch of the family, he’s a Boston cop and with his wife they have four kids. He starts noticing some things are “off.” His wife suggests he goes to a doctor, who referred him to a “movement specialist.” That’s where he finds out that he has Huntington’s Disease. HD is not a well-known disease. Most people don’t know what it is. I know what it is because it runs in my family. When I try to describe it to people I end up just saying “it’s like Parkinson’s” and leave it at that. If you are interested in reading more about it, check this website out. Symptoms include: personality changes, mood swings & depression; forgetfulness & impaired judgment; unsteady gait & involuntary movements; slurred speech, difficulty in swallowing & significant weight loss. The scary part about this disease is that it’s genetic. If your parent has it, you have a 50-50 chance of getting the disease. I don’t talk about it much. But it was something that overshadowed my childhood in a big, big way. Like I said, it runs in my family on my dad’s side. His father died of HD. My dad has three sisters and two of them developed the disease and died in nursing homes after a very long struggle. I remember visiting my aunts in their nursing homes. They were hooked up to feeding tubes because they could not feed themselves (you lose the ability to swallow), their entire bodies shook and jerked and were never still and they could not communicate. As a small kid, this was terrifying to see and experience. I’m not going to go into too many personal details because it’s not fair to my family to share that stuff. But I will say that the waiting period to know if my dad was going to develop it was always in the back of my mind growing up. The symptoms usually start in your 30’s. But you aren’t “in the clear” until you reach your late 50’s or early 60’s without showing any symptoms. For years I wondered. I wondered if my dad would get the disease, I wondered if my brother or I would then develop it. We could have all gotten genetic testing to know for sure, but without my dad showing signs of HD, there wasn’t really a reason to get tested. Which was probably very expensive in the 90’s when this was going on. Looking back, I think the peace of mind would have been worth however much the testing had cost and I kind of wish I’d done it. I remember having the “maybe this is Huntington’s” thought in the back of my head growing up when I was clumsy or fell or dropped things…the thought was kind of always there. In the end, my dad never developed any symptoms of Huntington’s and that was good news. That meant he was in the clear and there was no way my brother or I could develop it. It doesn’t skip generations. There’s no way that my brother or I can pass it on to our future kids. The defective gene stopped in our family. Thankfully. I pretty much cried during this entire book. I could relate to SO much of what the O’Brien family was going through. Even though I was really young when my two aunts went through this, it left a huge impression on me. They both passed away when I was in my teens. So back to the book…as I was reading the story my first thought was “he shouldn’t be a cop anymore.” The change that happens is scary. The symptoms of shaky, jerky movements and losing motor control are scary enough, add a gun to that? It made me cringe. Which I’m sure is what the author was going for. I felt like that part of the book was unrealistic–I think someone would have noticed sooner, or his family should have stepped in and made him retire or surrender his firearm. The story is about the whole family, not just Joe. His oldest son is married and him and his wife have been trying to get pregnant for a long time. They are finally pregnant, 10 weeks along, when they get the news that Joe has HD. What does that mean for them? What does that mean for their baby? One of the daughters is a ballet dancer. This would be a career-ender if she developed HD. The other daughter, Katie, is a yoga instructor. Same with her–if she gets HD she can’t do her career either. 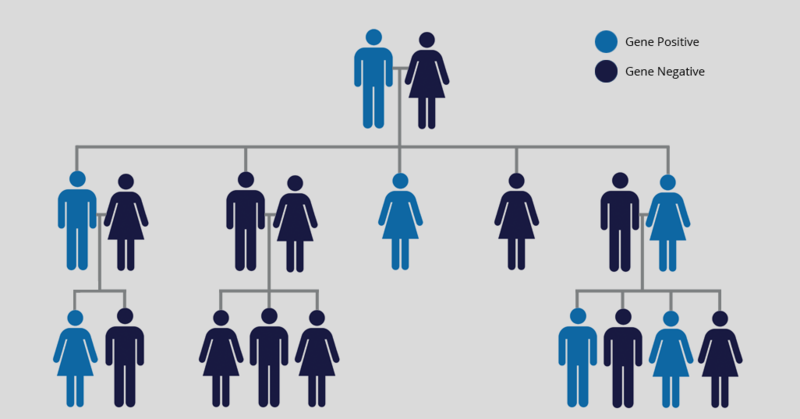 The four siblings get together and discuss whether or not they are going to get genetic testing. What does it accomplish? Getting a death sentence with a positive test–but your death sentence is 10-20 years from now? Does that IMPROVE your quality of life because you try and live each moment to it’s fullest and strive to accomplish all your goals before the disease takes hold? Or does it just become a giant black cloud hanging over your head and in the end ruin what little life you have left? It’s a hard decision. Myself? I don’t know how I would have reacted to that situation. I’m lucky that I no longer have to deal with that possible scenario, but still…? What road would I have taken? I have to admit, there were a lot of times in the book where it was almost too difficult to read. But I kept at it because I felt invested in the story and the characters. I feel like the author wrote the progression of Joe’s illness very well and it felt accurate from my point of view. After I finished the book I realized the author has a PhD in Neuroscience from Harvard. She’s also the author of “Still Alice” (about Alzheimers disease). She clearly knows what she’s talking about and was able to bring a tough subject to life. She created characters that you enjoyed and felt invested in–all while informing the reading about this lesser known disease. It never felt preachy or like you were being talked down to. I read the book in one day. I had to take a break here and there because emotionally it was gut-wrenching but at the same time I didn’t want to put it down. I don’t know that this book is for everyone. Maybe someone reading it without any knowledge of Huntington’s wouldn’t feel as emotional as I did reading it…despite the dark, emotional topic, I think the book was really well written and I hope some of my readers check it out. Thanks for the book review, I’m adding this to my list. My father has Parkinson’s and my grandmother died as a result of Parkinson’s, so I completely understand your fear and wonder if you or who will be next. A genetic test isn’t an option for me, but like you I am not sure if I would want to be tested. I’m glad to hear that for your family the disease has been stopped. I’m sorry to hear about your father and grandmother. Is there no genetic test for Parkinson’s? Or you choose not to? The genetic testing shows if you have a mutation that may or may not cause Parkinson’s. Per the Michael J. Fox foundation website, only 10 percent of Parkinson’s cases have been linked to a genetic cause. Oh ok. Thanks for clearing that up. Okay, I didn’t read the whole post for the spoiler alert, but I just placed a hold on this book at my library – it’s checked out right now, but look forward to reading it. As always, thanks for your book reviews -you will get me to be more of a blog reader before you know it! I tried not to give away too many spoilers…hopefully! CARLA recently posted..How many hours a day do you workout?